Ashford Manor Labradoodles > Meet Our Boys! 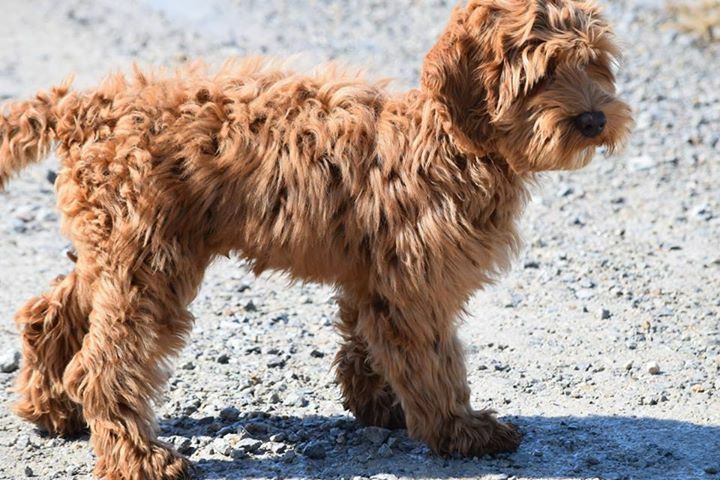 Our beautiful Australian Labradoodle boys breed in all the right traits to produce remarkable puppies for your family. 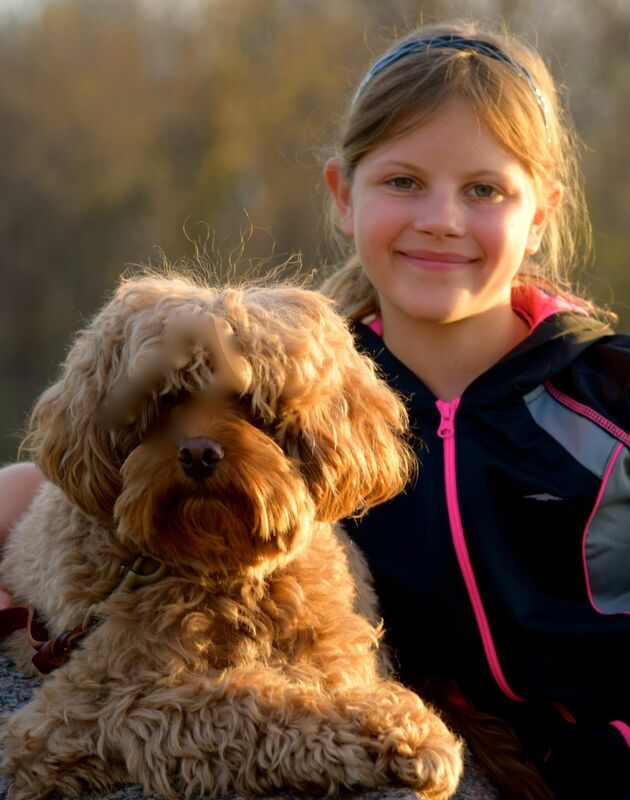 We at, Ashford Manor Labradoodles keep our breeding program small so our dogs get lots of love, attention, socialization, and training. We are not a kennel, we are a home-based breeder. Many of our Australian Labradoodles live in guardian homes so that everyone is receiving the attention they deserve. Angus is a new member to the Ashford Manor family. He is a stunning red color, a perfect 50 pounds! He thinks he is a puppy and lays his head on your lap! Such a sweet boy! Angus is moving in with his guardian family here in Indiana where they have several children and lots of room to run and play! Angus is a super sweet boy, very gentle, loves to cuddle as well as romp and play. Angus has had his health testing and is a great addition to our family. 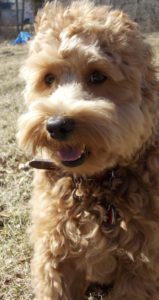 Angus is available for stud service to approved Australian Labradoodle Breeders. 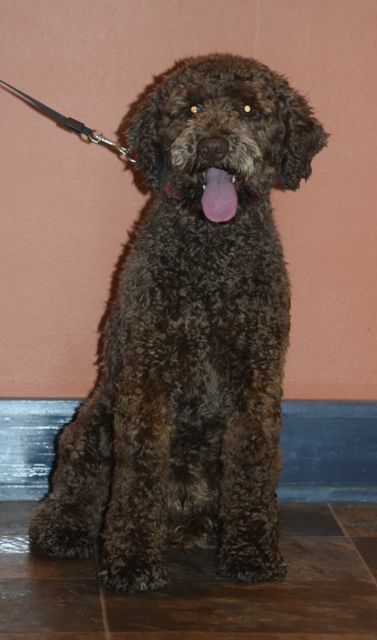 Meet Blaze, a male stud here at Ashford Manor Labradoodles, an Australian Labradoodle breeder in Indiana. Blaze is a perfect name for this stud muffin, with a gorgeous red coat! 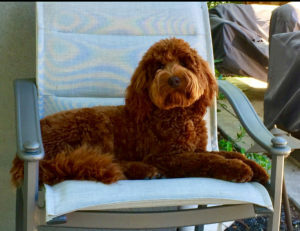 We co-own him with Kari Lambert of Aussie Labradoodles in Ohio. He has flown here from Shedless in Seattle, where Jan has done a fantastic job of training him and getting him ready for our programs. Blaze loves everyone whether it is the first time he has met you or if you have been around his whole life. He has never met a stranger. Blaze is a gorgeous red coloring and a nice medium size. Blaze is as stunning in person as he is in this picture! He has a wonderful disposition, a very sweet nature. Blaze lives with his guardian family in Indiana. Blaze is available for stud services, he carries all colors. Brantley is one of our boys from Arkansas! We purchased Brantley Michael as well as his brother Titan (pictured below). He is fully tested and has exceptional scores! 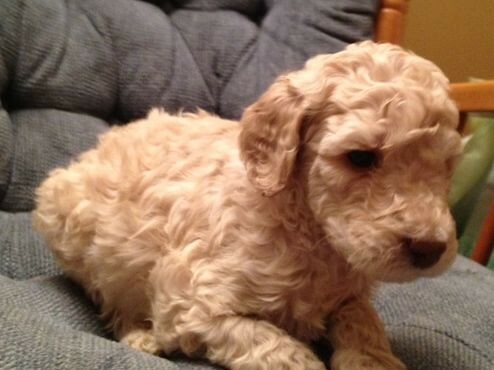 Brantley is a small medium Australian Labradoodle stud. Brantley lives in a guardian home here in Lafayette, Indiana. He has a buddy named Chevy, a yellow lab, that he plays. Brantley will always make you smile, he is super charming! Brantley’s favorite thing to do is to run and jump! He is working on catching a ball in the air. Brantley Michael is available for stud service, he carries all colors. Size: Small Medium, 30 lbs. Chestnut is our boy from Paprika & Keenan, he is absolutely stunning in person and in photographs. Chestnut lives in a guardian home here in West Lafayette, Indiana. Chestnut is a very smart boy who loves to give hugs and kisses. His guardian trained him to open doors and now wonders why?!? Chestnut carries red and chocolates, he is available for stud service. Size: Large mini, 15 1/2″ and 20 lbs. Huckleberry lives with his guardian near Indianapolis. He is a snuggler, loves to romp and play, loves people, plays well with others, has a delightful personality, loves to learn new things, and is just a joy. Huckleberry has quite a little personality that keeps the guardian smiling! Size: 17 1/2″ tall, 23 lbs. 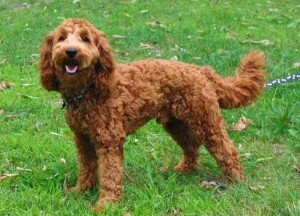 Max is a medium red multi-gen Australian Labradoodle. He has come to us from Missouri. Max has a sweet personality, good with children and adults of all ages. Max lives in a guardian home here in Indiana. 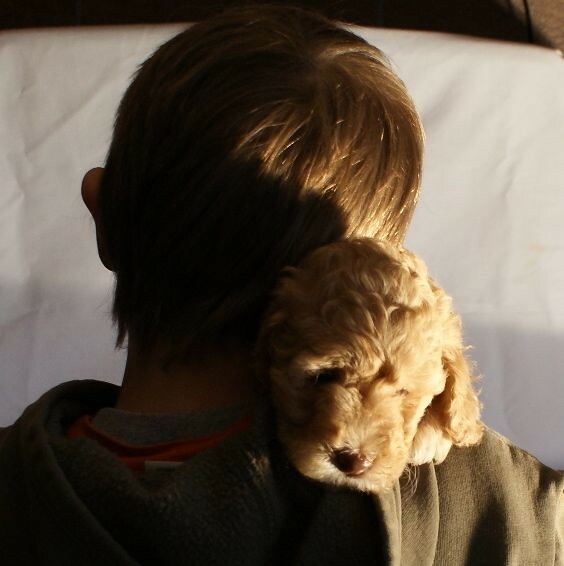 Little Johnnie is our red cockapoo infusion. He is an approved ALAA breeder with phenomenal testing scores. Our little boy lives in Ohio with his guardian family. Little Johnnie is a very sweet natured boy who lives with several children and has a great disposition. Little Johnnie is an easy-going stud muffin with a delightful personality. Little Johnnie is available for stud service. Pluto is a medium boy who lives in Ohio. luto has a great personality, he loves to snuggle, run and play, fetch a ball, and warm your feet. Pluto is a super sweet boy and is obedient. He weighs about 38 pounds and stands about 19 1/2″ tall. Pluto is a proven stud available for stud service to approved breeders. 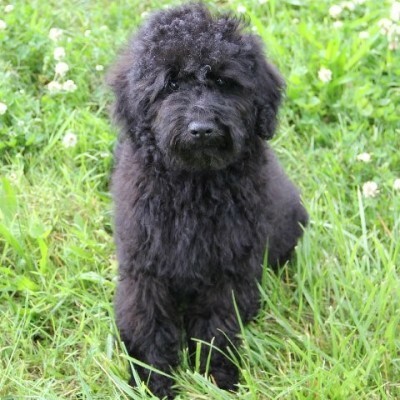 Titan has been a wonderful addition to the Ashford Manor Labradoodle family. Titan, with his brother Brantley Michael, have come to us from a small breeder in Arkansas. We are thankful to have them as part of our family. 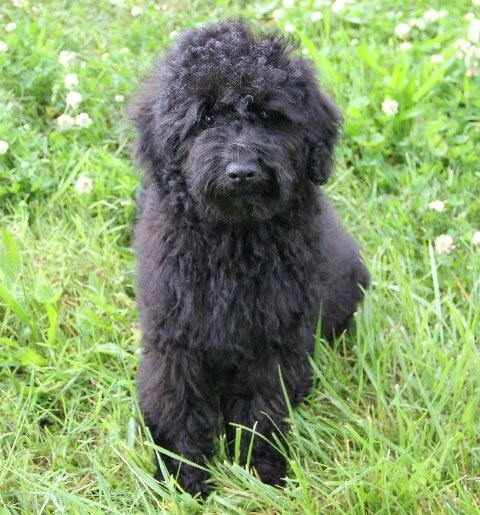 He is our first black Australian Labradoodle! Titan lives with a guardian family in Ohio. They have 3 children who love on him daily. 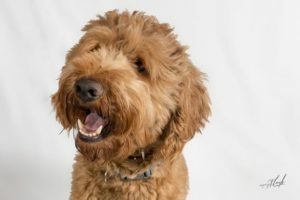 Titan is a super sweet male Australian Labradoodle. He loves to romp and play with the kids and then settle down for a nice movie. Titan is a beautiful black color and produces gorgeous puppies and carries all colors including parti. 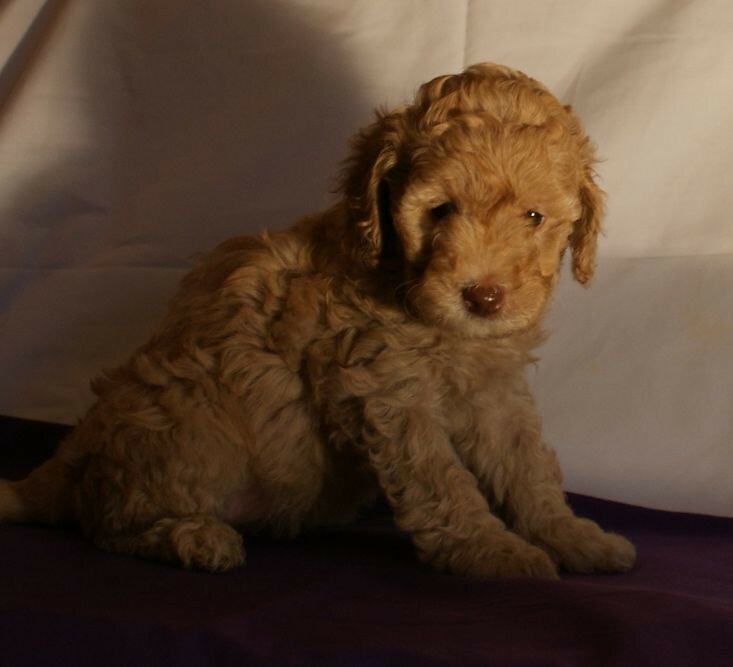 Titan is available for stud service to Australian Labradoodle Breeders. Tucker is a 13 lb micro/mini multi-gen Australian Labradoodle. He has a beautiful wavy fleece coat. Tucker is a dark red caramel, a rare color group, you will notice the brown nose instead of a black nose which would make him red. 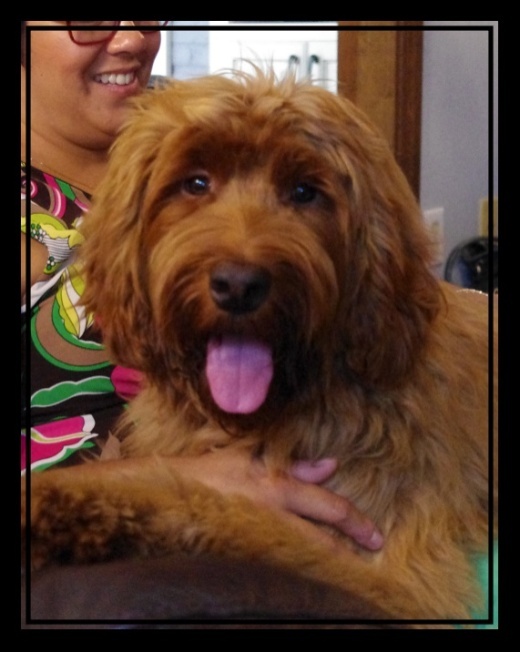 I co-own him with Kari Lambert of Aussie Labradoodles in Columbus, Ohio where he lives with his guardian family. Tucker is a sweet fun-loving little guy who will romp and play as well as snuggle up on your lap. Tucker loves to be with people. Keenan has a fabulous temperament! He loves to just snuggle up by your feet, and go with you everywhere you go! 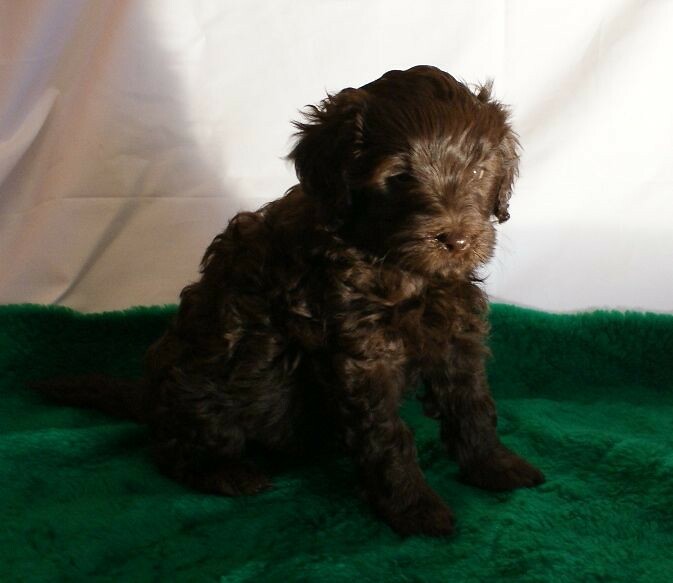 Keenan has a wavy fleece coat and is a miniature Australian Labradoodle. 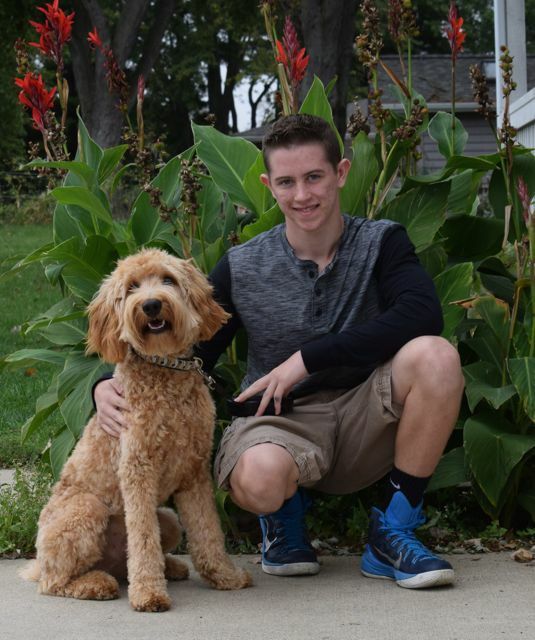 Keenan lives in Indianapolis, Indiana with his guardian family. Keenan lays at his mommy’s feet to keep her warm during the winter months. He is a sweetie. 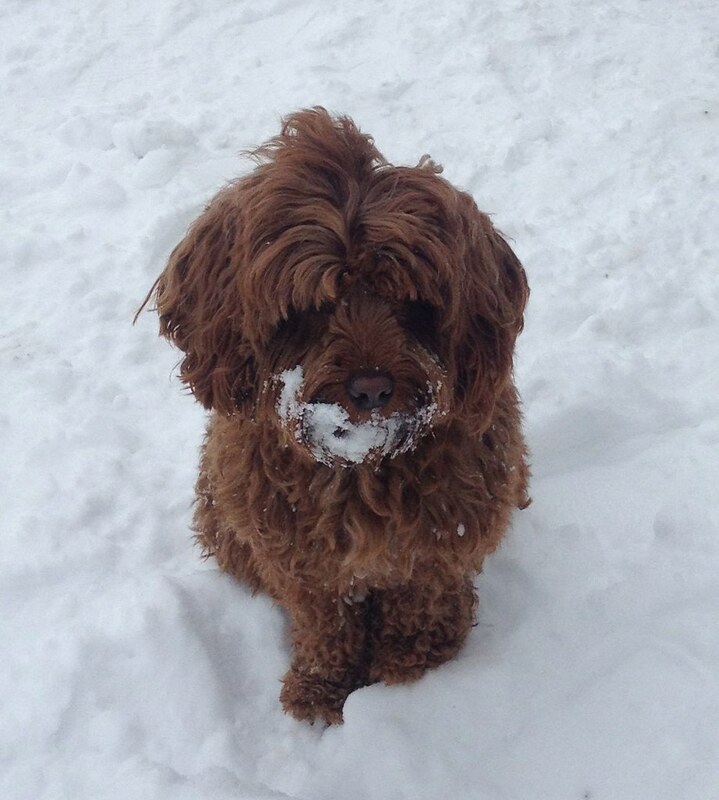 We co-own Keenan with Aussie Labradoodles in Columbus, Ohio where he lives with a guardian family. Keenan is such a stud, and he knows it! Keenan carries red and chocolate. 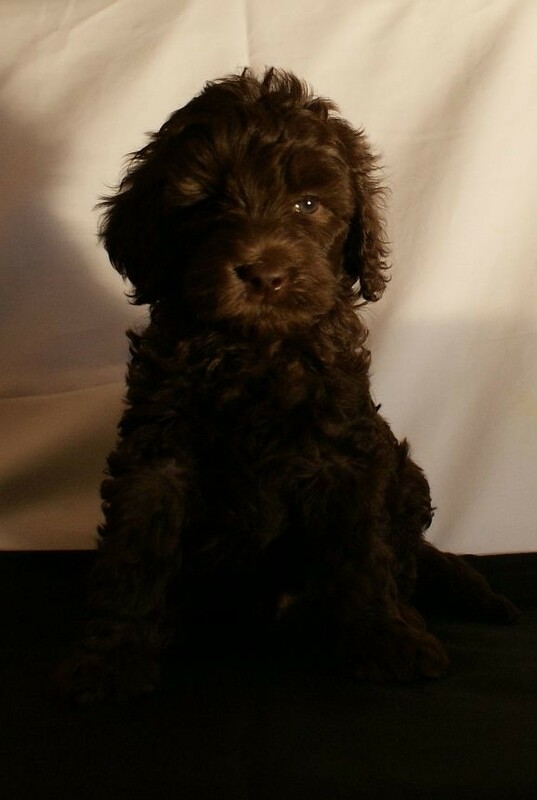 Thyme aka Jack is a gorgeous dark chocolate miniature Australian Labradoodle. Jack is the darkest chocolate dog I have ever met! Jack gets compliments everywhere he goes, not just because he is gorgoeus, but also because he is so well mannered. It was no problem to train Jack, he obeyed very quickly, so much the guardian family didn’t even need to purchase a gate to keep him out of certain areas! Jack lives with his guardian home in St. John, Indiana. He has two children he snuggles up with daily. Jack loves to play fetch and also just relax. He is a real gem! 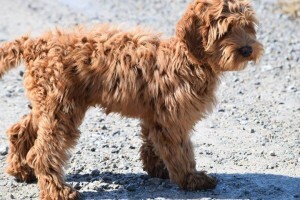 Jack is available for stud service for Australian Labradoodle breeders. He carries red and chocolate. We do offer our boys out to approved breeders. If you are interested in our Australian Labradoodle stud service please contact Cheryl at 765-714-1436 for more detailed information. For a sample copy of our Stud contract Blaze. Not To Late To Schedule your Dogs Dental Appointment! 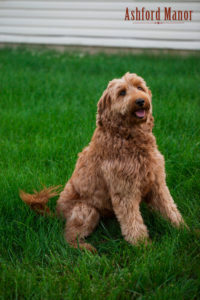 Australian Labradoodle Available for Valentine’s Day 2019! February is Doggy Dental Month!